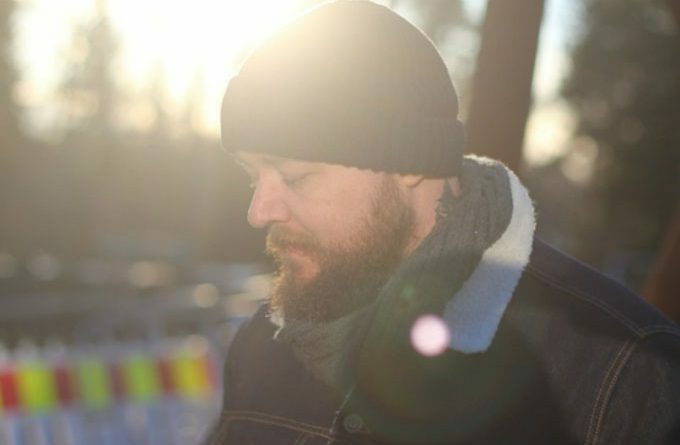 First there was “God, The Devil and I”, then “Feel It!”, and now Australian singer-songwriter, Derek Lee Goodreid completes the trilogy of albums with “Beneath Starry Skies” – his most poignantly personal recording thus far. Every album that Derek has brought out has been a special gem. They are recordings that I constantly find myself going back to, and this one is no different. He has the ability of blending the lightest ennui, hopeful yearning, spirited discontent, and resentment. He comes to terms with weakness, hypocrisy and malice. He leans into dark and cynical places, where the light to lead you out is far away and the only thing to hold onto is your fading sanity and your aching soul. There’s a great deal of empathy for life and existential maladies. The awareness is refreshing. As always Derek Lee Goodreid’s lyrics are strikingly descriptive, and yet still interpretative. These songs can either wear you down or uplift you, depending on your own life experiences. Derek Lee Goodreid is a great performer, and also a genuinely interesting songwriter, and there’s few in contemporary indie –whether it’s country, folk, blues or rockabilly – nearly as good at both of those things. “Beneath Starry Skies” creates the room Goodreid needs to speak, with naked earnestness, about the themes that most obsess him. He is more or less back to writing punchy, tuneful songs that get philosophical about the nature of life, only now he sounds more brittle and rooted in a specific time and place. This is Goodreid swapping existential wit for earnest introspection. The resulting product is an album that stands as a compelling piece of storytelling from one of the better storytellers in the underground industry today. Goodreid’s willingness to express personal anguish on some tracks with such vulnerability is a powerful artistic statement. And I’m specifically talking about the affecting acoustic lament of “Be Still”, a song about Derek Lee’s relationship with a physically abusive, alcoholic grandfather. He describes this as the toughest song he has ever written. “Old Before My Time”, another song influenced by his grandfather, marries Goodreid’s full-throated choruses with a loping bass line and subtle slide-guitar passages. The track contains some of Goodreid’s most emotive singing. But singer refuses to spend an entire album stuck in a maudlin atmosphere. Hence songs like “My Wheelbarrow” is a refreshing surprise, gritty garage psych-folk, propped up by sturdy acoustic guitars and banjos, abrasive vocal cadences and straight-ahead lyrics. 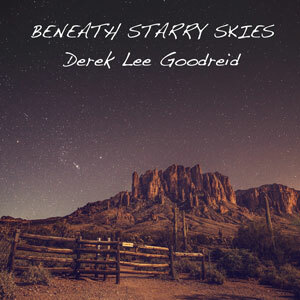 Right from the beginning of this album, with the rockabilly opener, “Beneath Starry Skies”, Derek Lee Goodreid has an undisguised, enigmatic, and reserved power with an imploring tone. Listeners will feel the candor Goodreid conveys through his music, yet, at the same time, there is something which is indescribable; and that mystery is what makes the music great. The first few compositions, among them “Run, Rabbit, Run”, “Saturday Night”, “Red Rum” are compact and concise, feeling like a refinement of his writing formula. “Beneath The Howlin’ Light” is another perfect example of this. Powered by a bright rock bounce, it’s a ravishing cut, with Goodreid packing a generous amount of insight, intelligence and ambiguity into its lean two minutes. 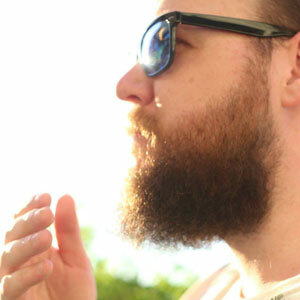 “Free Your Own Zoo” is an apocalyptic piano bustle with warped swells of sound and Goodreid’s gritty vocals. There’s a wounded approach giving pathos to the incredibly raw lyricism and singing on the bluesy “Push Comes To Shove”. If you do like heartfelt music with a focus on emotional, powerful, lyrics and voice, this is your cup of tea. If your love for sonic pleasure has been poisoned by the onslaught of pre-packaged computerized goo that now seems to be everywhere. Out of this wasteland of questionable talent, comes Derek Lee Goodreid. He will restore your faith in good songwriting, organic music and lyrics that have a high degree of intelligence and emotional resonance. His latest offering just continues the excellence that he has provided since his debut release. J Vinyl: “Elephant In The Room” – a rare breed of rapper! neon radiation: “Underdog” – spontaneous, imaginative and hugely enjoyable!